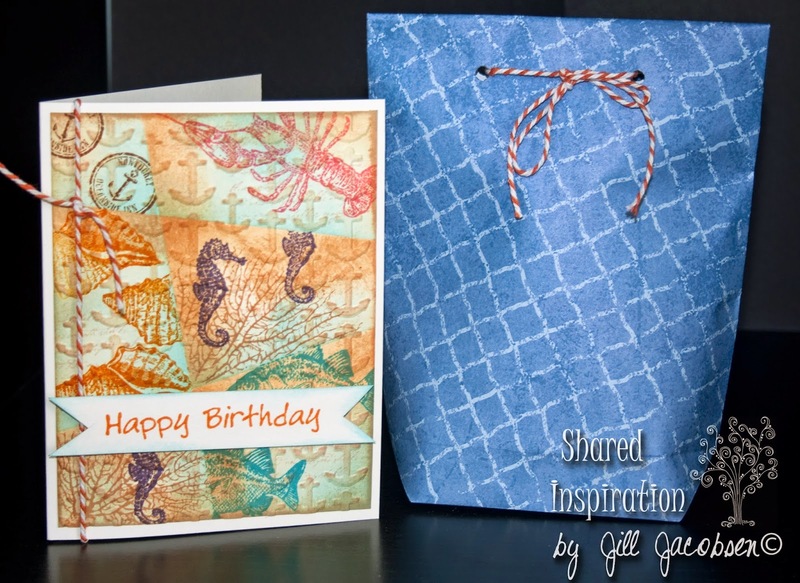 Happy Day Stampers, Today I have a technique from many years back....Retiform....it is creating block panels on your card from from masking off sections and sponging inks, then stamping in those blocks. I think I will do a video on this technique on Monday for you. I used the SU set for this birthday card for a friend. after I was done I ran it through the embossing folder to give it more texture, then I lightly touched it with some ink. 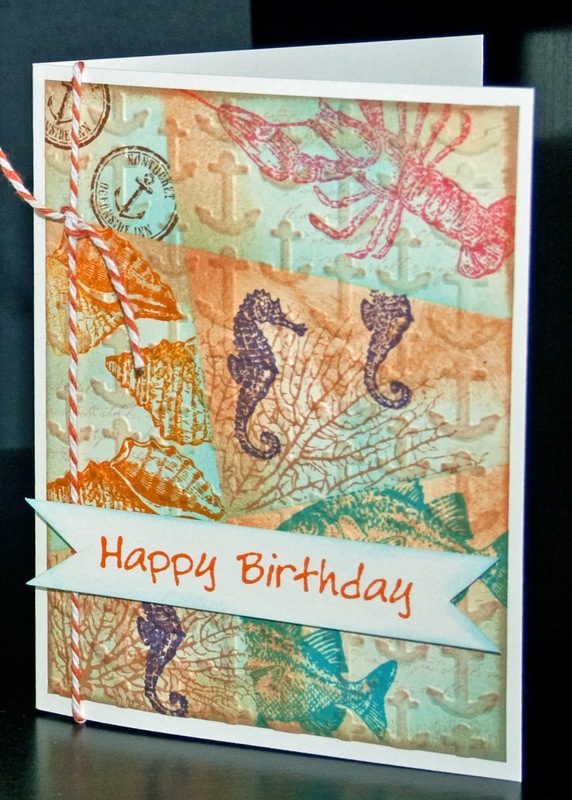 I also used a piece of scrapbook paper to create a quick gift back for the gift. You can find the directions to the bag here. Remember to do something creative this weekend!